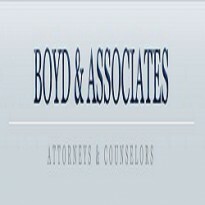 At Boyd & Associates in Dallas, Texas, the firm principal, Sam Boyd, is an experienced trial lawyer with over 35 years of practice and a proven record of success. Texas native and former Green Beret Captain Samuel ("Sam") L. Boyd practices in the areas of: qui tam litigation; False Claims Act litigation; whistleblower cases; business litigation and business fraud; securities litigation and securities fraud; complex divorces; personal injury and wrongful death litigation; tort liability; insurance litigation; commercial litigation; and professional malpractice. Mr. Boyd is an experienced and accomplished trial and appellate lawyer, who practices before state and federal courts throughout the country. In recognition of Mr. Boyd's exceptional legal representation, he has received the prestigious AV peer review rating from Martindale-Hubbell, signifying preeminent legal ability and the highest ethical standards. Mr. Boyd is an active member of the legal community as well as the civic community. He is Director Emeritus of the Texas Trial Lawyers Association, a current Director of the Dallas Trial Lawyers Association, and a former Chairman of the Business Torts and Antitrust Committee for the Texas Trial Lawyers Association. Mr. Boyd also regularly volunteers as a member of a charitable education organization in a lesser advantaged Dallas community. He, for many years, volunteered as a mentor to third-graders at O.M. Roberts Elementary School in East Dallas. Mr. Boyd served his country in Vietnam and was awarded the Combat Infantryman's Badge, the Master Parachutist's Badge, the Military Freefall Badge (HALO), four (4) Bronze Stars, three (3) Air Medals, three (3) Army Commendation Medals, and other recognition during his service. Mr. Boyd an infantry officer was also the Distinguished Honor Graduate [1/500] of his Jump School Class # 68-22 at Fort Benning, Georgia. Mr. Boyd attended Texas Tech University, where he graduated first in his class as Valedictorian with a B.A. in Mathematics and first in his class as Valedictorian with a M.B.A. Mr. Boyd also earned his J.D. from Texas Tech University, graduating seventh in his class with high honors, and was selected as the International Law Graduate for the year of 1977 by international legal fraternity Phi Delta Phi. False Claims Act Whistleblowing: The federal False Claims Act, 31 U.S.C. § 3729, et seq., makes it illegal for persons or businesses to knowingly make false or fraudulent claims to the United States government for payment or approval. Common types of fraudulent claims for payment include claims made by medical and pharmaceutical companies for reimbursement under federal Medicaid programs. As well, many other cases involve military contractors and major defense contracts. Individuals and businesses that make false claims are subject to large fines and penalties. Qui Tam Whistleblowing: A writ of qui tam is a procedure by which a private individual who assists the government in a prosecution can receive some part of the money damages recovered by the government. Under Section 3730 of the False Claims Act, an individual who has non-public knowledge or information that an individual or business submitted or caused the submission of a false or fraudulent claim may bring a lawsuit on behalf of the United States government. If the government recovers money damages, this individual (the "whistleblower" or "realtor") is entitled to a qui tam award in the amount of 10% to 25% of the monies recovered by the government. If the government declines to intervene and take over the prosecution of the case, the whistleblower award increases to an amount from 25% to 30% of all recoveries. Securities Fraud Whistleblowing: Congress enacted the Dodd-Frank Wall Street Reform and Consumer Protection Act which authorized, under Section 922, the SEC to pay rewards to individuals who provide the SEC with original information which enables the SEC to successfully settle or conclude an SEC enforcement action or related actions. The new law is intended to reward persons who act timely and provide significant evidence that enables the SEC to be successful in its enforcement action. The whistleblower must provide the information voluntarily before the government or other oversight organizations request the information. The information must be known independently by the whistleblower and not derived (exclusively) from public information or already known by the SEC. The tipping point for the whistleblower expecting a reward is that the SEC's recovery must exceed a cumulative total of $1 million in order for the whistleblower to be entitled to a reward. The larger, the better. The reward will be paid from the Investor Protection Fund which has already been established. A successful whistleblower will be entitled to collect between 10%-30% of the wrongdoer's payments to the Commission. Finally, as you might suppose, the whistleblower can' be the person who directed, planned or initiated the fraud. If you believe that you may have valuable information of a Securities Fraud violation involving substantial funds, feel free to contact us to confer about your qualifications to become a SEC whistleblower. IRS Tax Fraud Whistleblowing: Structured in similar ways to the SEC whistleblowing program, the IRS program targets persons commiting tax fraud on the United States. If the IRS uses information provided by the whistleblower and recovers money from the persons who unlawfully failed to pay their taxes, the IRS may pay 15%-30% of the amount collected if the taxes, penalties, interest and other amounts in dispute exceed $2 milion. Once a recovery is obtained, if the whistleblower is dissatisfied with his/her award, there is a right of appeal to the Tax Court. The whistleblowing rules are set forth in IRC Section 7623(b) (Whistleblower rules). Again, if you believe that you have valuable information of an IRS fraud involving substantial funds (often shifted overseas), feel free to contact us to confer about your qualifications to become a IRS whistleblower. Business Fraud: Business fraud encompasses a variety of unfair and unlawful practices. Common types of business fraud include accounting techniques designed to mislead investors, auditors, the Internal Revenue Service, state tax agencies, and others about the true financial condition of the business, including false accounting entries and fake transactions. Business fraud also includes various forms of self-dealing by corporate directors, officers and executives who misuse corporate assets for personal gain, receiving kickbacks, and backdating stock options. Similarly, partners who self-deal are liable to the partnership and other partners. Securities Fraud: Securities fraud involves false and deceptive practices related to the buying and selling of stocks and commodities, such as insider trading, late-day trading, commodities fraud, broker embezzlement, Ponzi schemes, and pyramid schemes. Statutes governing securities fraud include the federal Securities Act of 1934 and the Texas Securities Act. In addition, the federal Securities and Exchange Commission issues regulations which also govern this type of fraud. Attorneys fees may be recovered only under the Texas Securities Act. Fiduciary Disputes: Fiduciaries are persons who have a legal and ethical duty to act on behalf of others with the highest standard of care, meaning that they must act with the utmost good faith, fair dealing, and are held strictly accountable for their acts. Common fiduciaries include corporate officers and directors, partners, majority shareholders, attorneys, accountants, stock brokers, agents, trustees, executors, guardians, conservators, and others whom are charged by the law with handling the financial, personal, or medical care of other individuals, businesses, or monetary funds. Complex Divorce Cases: Our firm handles complex divorce cases involving contested divorces and property division issues that require litigation. Where the marital financial estate is significant, it often includes a variety of assets such as real property, stocks, bonds, pension benefits, life insurance, multiple financial accounts, and other investments, some of which may only have partially vested at the time of the divorce. Our attorneys are knowledgeable about these complicated financial matters and are skilled at handling the evidentiary issues which arise in this context, such as tracing the use of separate versus community assets. Personal Injury/Wrongful Death: Personal injury and wrongful death actions arise when a person has been injured or has died due to the negligence or wrongful misconduct of another. Our firm handles meritorious personal injury and wrongful death claims involving serious injuries resulting in significant damages on behalf of individual plaintiffs and defendants, but does not handle cases on behalf of insurance companies. General Business Litigation: Our firm handles a wide variety of complex business litigation, including trials and appeals, in state and federal court arising out of contract disputes, non-compete agreements, financing agreements, partnership disputes, shareholder disputes, and disputes with customers, suppliers, vendors and competitors. We assist our business litigation clients in devising targeted, effective case strategies, including exploring settlement options and alternative dispute resolution, and also handle appeals. Arbitration: Our firm has advocated on behalf of clients in arbitration proceedings as well as litigation. Arbitration is an out-of-court alternative to litigation, which generally allows parties to resolve disputes (either before or after formal litigation is initiated) in a quasi-judicial, but less formal environment. In an arbitration proceeding, a neutral third-party decision-maker (the arbitrator) reviews formal briefs presented by the parties, documentary evidence and witness testimony, ultimately makes a decision in the matter, and awards monetary damages when appropriate. Civil RICO: The federal Racketeer Influenced and Corrupt Organizations Act ("RICO"), 18 U.S.C. §§ 1961-1968, was enacted in order to prevent and deter organized crime. The Act makes it illegal to: (1) use or invest the profits from any racketeering enterprise (illegal business); or (2) collect unlawful debt in any enterprise doing business in interstate or foreign commerce. Section 1964(c) of the RICO Act allows private litigants to bring civil claims, including claims for treble damages for injury to their business or property, against persons who commit racketeering or other violations of the Act. Other recoverable damages include the costs of bringing the lawsuit and attorneys fees. Easy Cases, Large Damages: The firm heartily invites those clients with cases involving easy proof of liability and large damages claims from liquid wrongdoers to contact us. The firm has never seen such a case, but we are open-minded about accepting such work.